Application form and prospectus for admission to the Post Graduate, Diploma and Ph.D programmes can be downloaded from the KUFOS website www.kufos.ac.in (Adobe Acrobat PDF format). The duly filled up applications should be submitted on A4 size paper only. 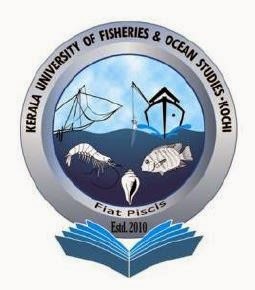 The application fee shall be paid by way of Challan (can be downloaded from website) in favour of The Finance Officer, Kerala University of Fisheries and Ocean Studies, Panangad, payable at SBT Vyttila. No other mode of payment will be accepted. The filled in application along with the original challan should reach the Registrar, Kerala University of Fisheries and Ocean Studies, Panangad P.O., Kochi 682 506, Kerala on or before 10.5.2015. A passport size photograph of the candidate bearing his/her signature should be affixed on the application and hall ticket.